To reserve a table please call us on 01603 777106. Awarded the Gold Standard Broads Quality Charter by VisitEngland. 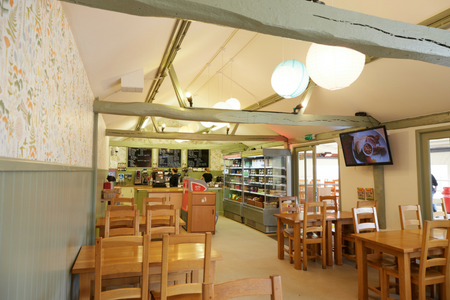 For that extra special day out at Wroxham Barns – visit our table-service Restaurant where we serve wholesome, homecooked food. 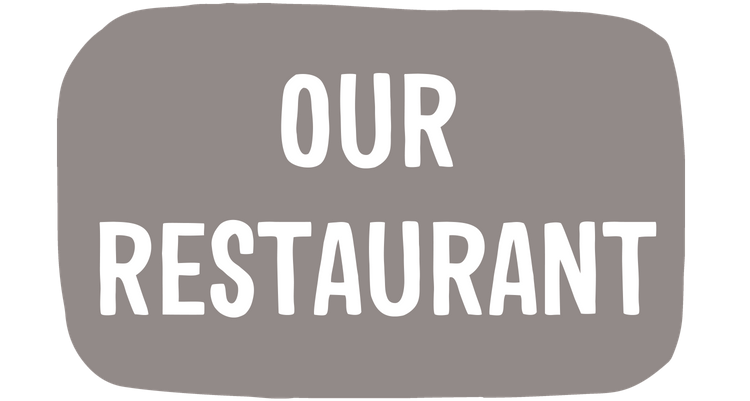 We use the finest ingredients sourced from our trusted suppliers using seasonal and local produce wherever possible. 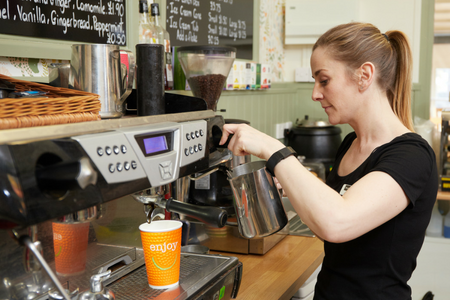 Gluten-Free, Vegetarian and Vegan options are available – just ask if you have any queries or need further information on allergens. 10am to 5pm (4pm Winter closing) with a range of menus. 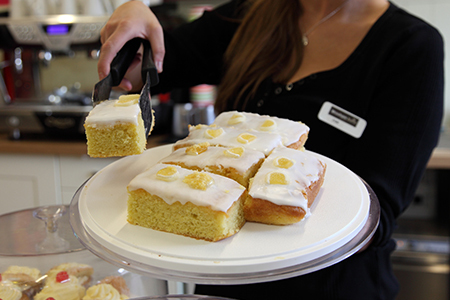 Good Morning – offering a wide range of speciality coffees and teas, soft drinks and shakes too, plus breakfast favourites and for that mid-morning treat check out our cake selection as well as teacakes and our famous homemade scones. Traditional Afternoon Tea – served daily from 2.00pm (please note weekdays must be booked in advance). 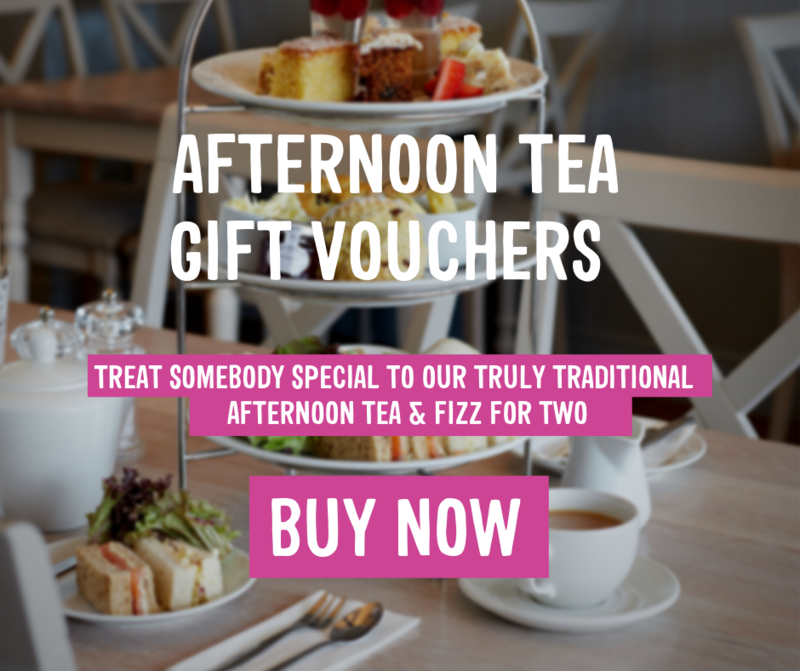 Our traditional Afternoon Tea is a customer favourite and don’t worry if you can’t eat it all as we offer a take-home option as standard. 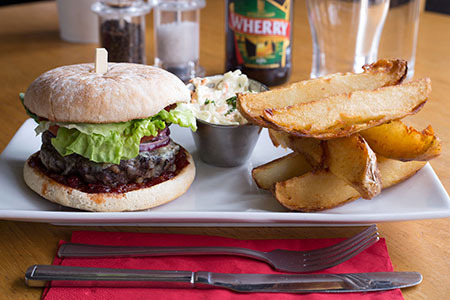 Young Foodies – Served daily offering a range of dishes for Brekkie, Lunch, Dessert and a Junior Sunday Roast too. 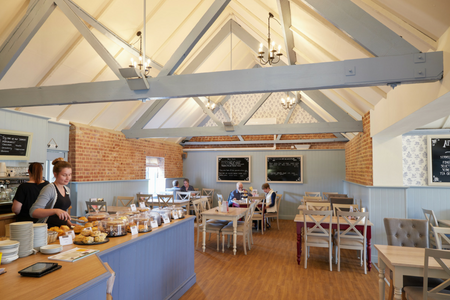 The Wroxham Barns Restaurant is suitable for pre-booked large groups, celebrations and more. Contact us for full information. 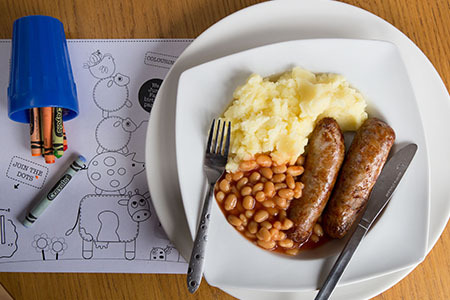 Ask your server for a colouring sheet to occupy your little ones! 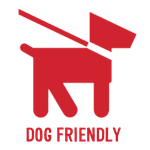 Ready for a quick “pitstop” – then try out the newly refurbished dog-friendly Farmyard Cafe. Perfect for families on the go with tray-service. Plenty of seating inside or relax on the outdoor terrace, heated should it turn chilly and with a retractable canopy too. Barista coffee machine for the perfect latte or cappuccino. 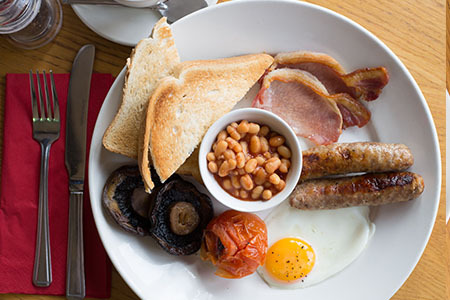 All food is made in the Wroxham Barns kitchen where we believe in fresh, wholesome, good-value food using ingredients from suppliers we know and trust. 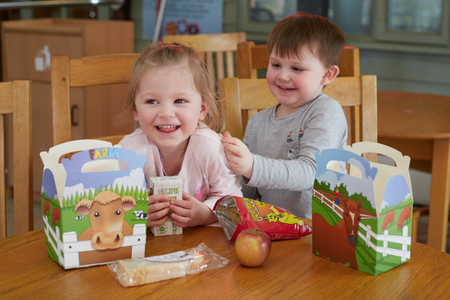 Did you know that your little ones can create their own lunchbox? 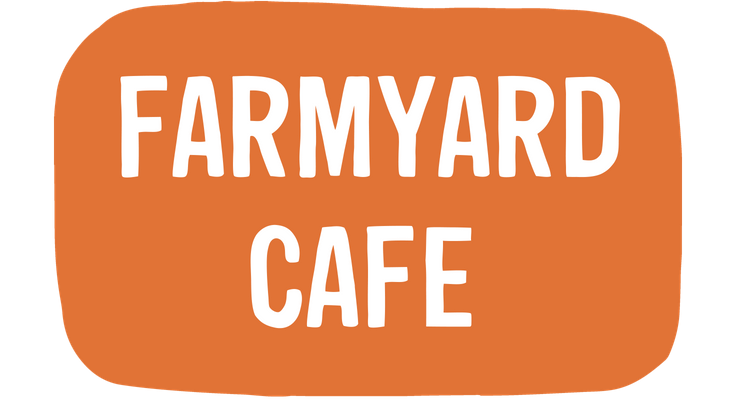 Pick up a box and fill with your choice from a great range of sandwiches, jacket potatoes (choose your own filling), fresh fruit, crisps, cakes and drinks. Plus, there’s ice creams and Slushies too. 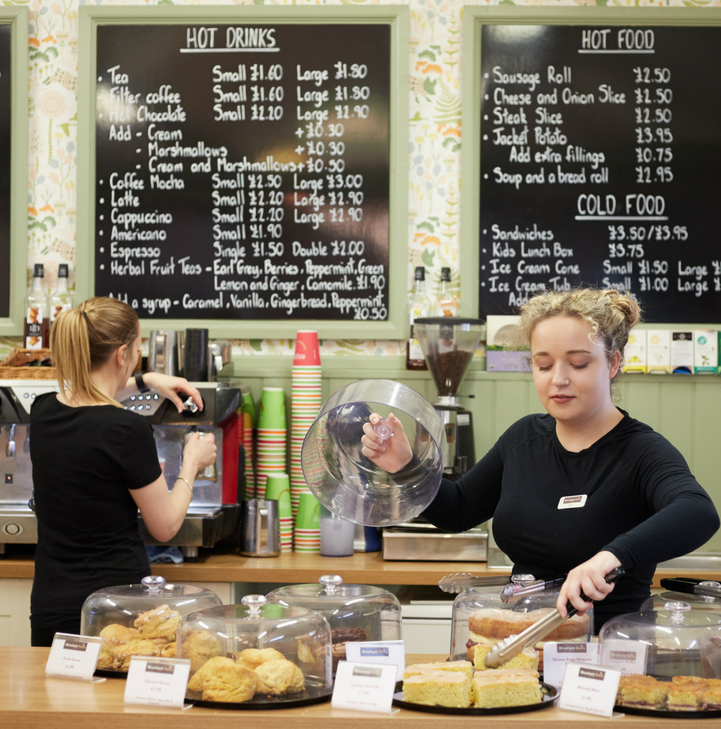 In addition, for the grown-ups there’s tempting hot savoury pastries, sandwiches, filled jacket potatoes, warm ciabattas, steaming hot soup of the day too as well as a great choice of cakes, scones and toasted teacakes. Find the ice cream kiosk adjacent to the Restaurant. 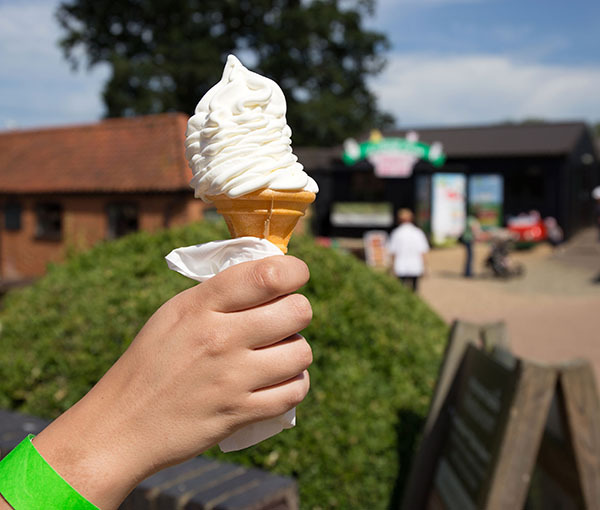 Seasonal and weather dependent – open school holidays – for scrumptious whipped ice cream in cones or tubs and a selection of your favourite ice lollies too plus slushies and cold drinks.